Opened in 2001, Ben Hogan, MD, is a Family Practice and Sports Medicine office focused on primary and preventative health care. Dr. Hogan is committed to practicing medicine with an approach that is patient-centered, cost-effective and results oriented. The core service of Ben Hogan, MD Family + Sports Medicine is to provide compassionate, high quality, primary care to every member of the family: infants, children, teens and adults. Our healthcare strategies include the management of many disease states, such as diabetes, hypertension, asthma, heart disease, depression, anxiety and others, as well as performing complete physical exams on both males and females at various stages in life. Our Sports Medicine care benefits athletes of all ages and skill levels, from the professional and student-athlete to the weekend warrior. Dr. Hogan provides a broad spectrum of Sports Medicine services, including treatment of acute and chronic musculoskeletal injuries, management of medical problems in athletes (such as diabetes, exercise-induced asthma, etc. ), injury prevention education, performance enhancement, pre-participation physical exams, and coverage of a multitude of sporting events. 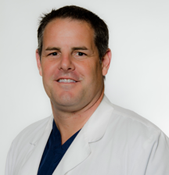 It is important to note that although trained in Sports Medicine and a member of the American College of Sports Medicine, Dr. Hogan is not a surgeon. 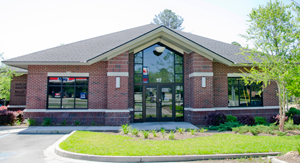 If surgery is indicated, Dr. Hogan works closely with a variety of surgical colleagues and orthopedic offices in the area and the Southeast. Dr. Hogan is a dedicated and caring physician and, along with his staff, is committed to providing comprehensive primary, preventative and sports medicine healthcare services to patients of all ages and athletes of every skill level. It is our goal to help our patients achieve optimum well-being and performance through strategic medical assessment and intervention, along with proper health education and management guidance. A strong foundation for good health is built on the patient-provider relationship. The focus of Dr. Hogan’s practice is to honor that relationship and form a life-long partnership with each patient to help them be the best they can be. We are committed to offering respectful, courteous, competent and friendly care to everyone that comes in contact with our organization. Dr. Hogan and his staff strive for excellence in everything they do with a commitment to continually improving every aspect of their work, from patient education and wait times, to cost efficient medical therapies and strategies. The power of the collective is much greater than individual strengths. We work together for the benefit of our patients and our practice. The partnership of provider and patient can produce the most positive results, from individual health care management to community spirit and involvement. Dr. Hogan and his staff are committed to their role of teammates with each and every patient and the community within which they live.